Compensation & Benefits - Diversified Services Network, Inc. Compensation & Benefits - Diversified Services Network, Inc. Build Your Career with DSN. DSN is committed to supporting the career goals and dreams of every employee. 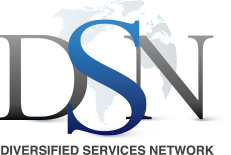 When you work with DSN, you not only enjoy an outstanding compensation and benefits package; you also work in an environment where you are respected, valued and encouraged to grow. We offer excellent total compensation and benefits packages, including comprehensive insurance (medical, dental, long-term/short-term disability), 401K and vacation/holiday pay. This allows us to attract and retain the best people, to encourage our own growth and to ensure the satisfaction of our valued employees. We encourage all employees to pursue continuing education and certifications in their fields, with generous tuition reimbursement policies. We also sponsor association memberships for our employees where appropriate. We’re hiring! Click here to see a list of our current job openings.